The ketchup maker agreed to be purchased for $28 billion by a group including Warren Buffett's Berkshire Hathaway and private equity firm 3G Capital. The Securities and Exchange Commission said Friday that it had obtained a court order to freeze assets in a Swiss trading account, questioning profits made ahead of the announcement of H.J. Heinz Co.'s $28 billion acquisition by a group including Warren Buffett's Berkshire Hathaway. The SEC said "unknown" traders using the account had purchased options the day before the announcement and reaped $1.7 million when the H.J. Heinz Co (HNZ) deal was revealed on Thursday. In a complaint filed in Manhattan federal court, the agency said those responsible "are either foreign traders or traders trading through foreign accounts" in Zurich, Switzerland. The court order prevents the potentially illegal profits from being withdrawn while the SEC investigates the case. "Irregular and highly suspicious options trading immediately in front of a merger or acquisition announcement is a serious red flag that traders may be improperly acting on confidential nonpublic information," the SEC's Daniel Hawke said in a statement. Those using the account will have to appear in court to explain their trades if they want their assets unfrozen. The SEC said the trades were suspicious in part because the account in Switzerland, which is known for its bank secrecy, had not been used to trade any Heinz-related securities in the past six months until the day before the acquisition announcement, and because trading in these options had been "minimal" in the days prior. Related: Is Buffett overpaying for Heinz? Heinz shares surged following the announcement of the acquisition, placing the traders in position to profit. 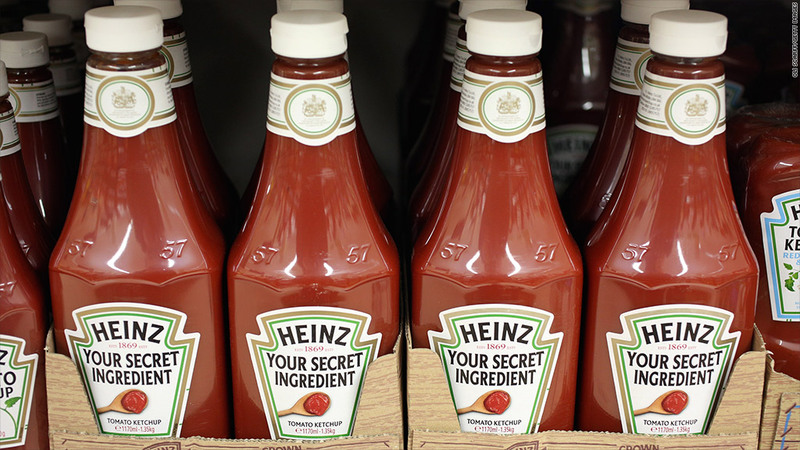 Berkshire (BRKA) and private equity firm 3G Capital agreed to buy Heinz for $72.50 a share, a 20% premium over Wednesday's closing price. Heinz spokesman Michael Mullen declined to comment on the SEC investigation. 3G Capital and Berkshire did not immediately respond to requests for comment.